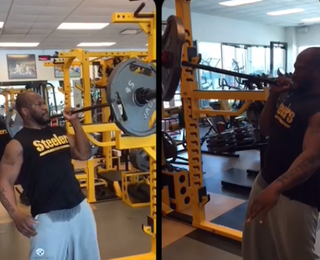 Linebacker James Harrison enjoys Instagramming his workouts. Here he is lifting 135 pounds from a standing position with one hand, because he's a maniac. Anyway, James Harrison is crazy.